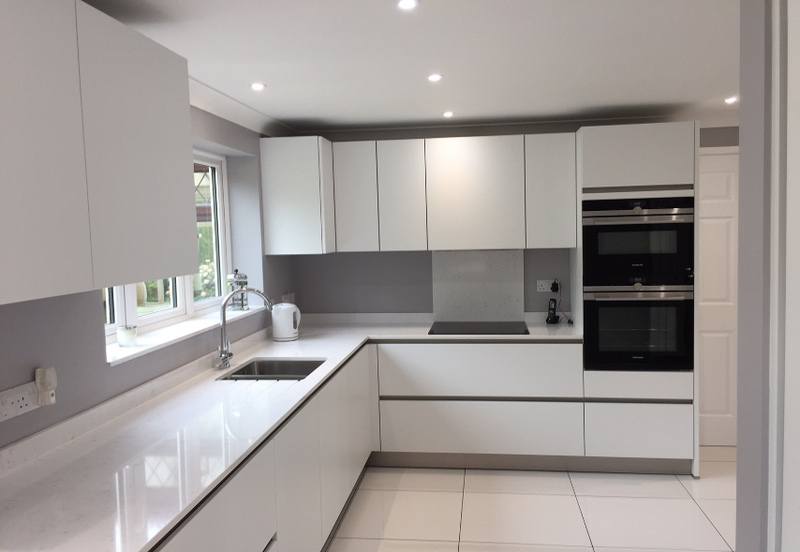 Here we look at some modern day problems that we all have to face when making the important decisions about our new kitchens. Find out how you can overcome them with solutions from KDCUK. With so many beautiful kitchen designs gracing the pages of the latest interiors designs, it’s easy to fall in love with a lifestyle kitchen and overlook the reality – kitchens get messy. 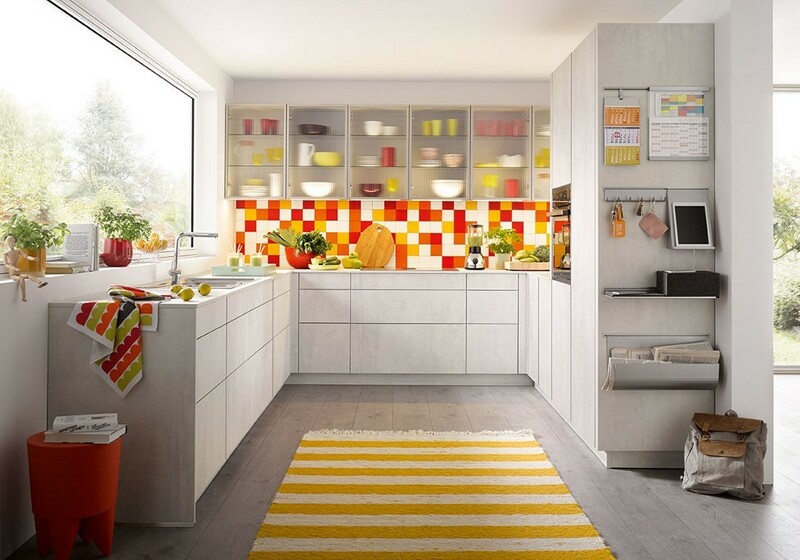 A well planned kitchen with optimum storage will certainly makes it easier to keep the space clutter free, but the reality of busy life can make it impossible to stay tidy all the time. This beautiful smooth action glass roller shutter from our ‘C’ Range will hide clutter in an instant, taking the pressure of you to appear perfect at all times. 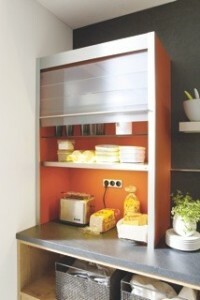 Just one of the many creative solutions in the Schüller C collection; designed for the way we live. Recently pas ta topped a global survey of the world’s favourite foods and it’s not a trend expected to dip. Let’s face it, we all love pasta; It’s the perfect food, easy to prepare and the basic ingredient for the culinary enthusiastic to rustle up restaurant standard cuisine. But there is a problem with our passion for pasta: the plates are often huge and when it comes to the average British kitchen, it seems that sometimes we find it hard to accommodate our European influenced palette. And this is where European kitchen manufacturers come into their own, understanding that the kitchen is the heart of the home and everything within it, should reflect the lives we lead. The designers at our suppliers Schüller love pasta, so they designed extra deep 350mm wall cabinets to accommodate wider plates and bowls. 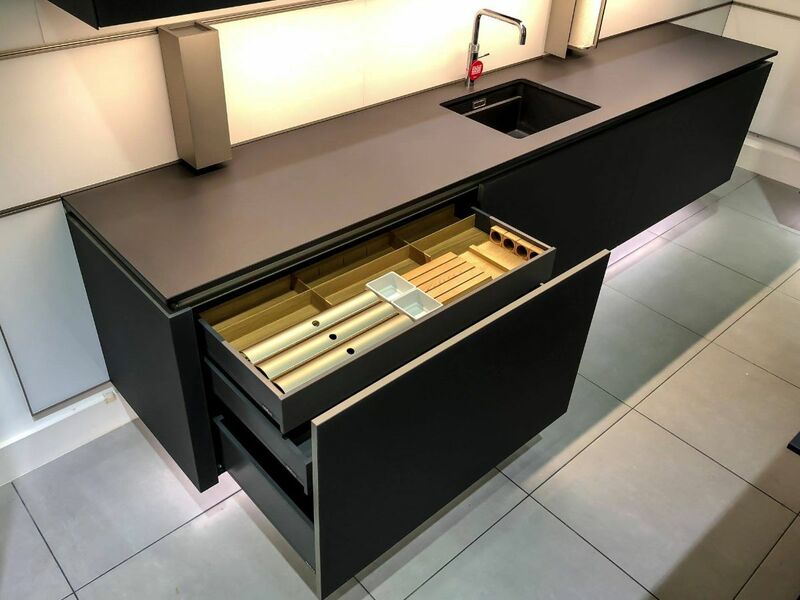 For those that like to keep their plates below the worktop, heavy-duty drawers provide easy access and adjustable beautiful crafted wooden pegs separate plates and protect from chipping. Lets face it, anyone who loves food, loves a good cookery book. Beautifully photographed images and imaginative recipes inspire a love of food and are as much part of the kitchen as the ingredients are to the meal. 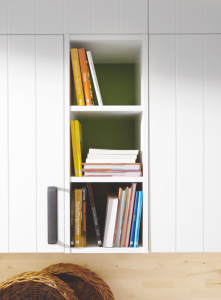 With so many things that need storage space, the cookery book collection is an easy thing to overlook when planning a new layout, but it’s an important part of any design. Our kitchens are created for the way we live – so they design with cooking in mind. Open display areas provide the space for the culinary library and create a focal point. 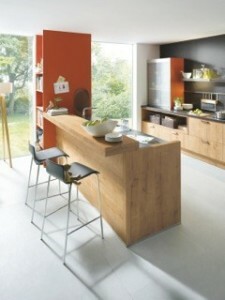 Everyone needs another cookery book and we all need space to display them. 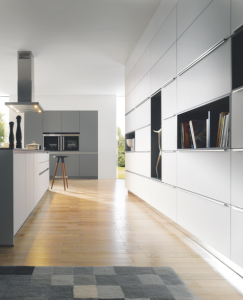 A multitude of planning options in the Schüller C Range collection are available to create co-ordinated and contrasting areas perfect for storing and displaying cookery book collections.